Just thought I'd leave that bit of information for anyone else trying with an '08. My thanks go out to the people at OdyClub and AcruaZine whose threads I followed to get inspired to do this modification. Special thanks to sejong over at OdyClub, who pointed me to the correct file to start with and answered my questions when I ran into problems. I wouldn't have been able to complete this modification without his help. Your mileage may vary: By posting this here, I am simply describing what I did with my own 2006 Honda Odyssey Touring. This information may not apply to different model trims or years. I can make no guarantees that this will work on other vehicles nor can I guarantee that doing this mod will not turn your navigation system into a brick. If you are unsure how to create a batch file using Notepad and how to use the Command Line prompt on your computer, you may not want to attempt this mod. HVCT - To convert the image to the proper format. A program to burn files to a CD. The following are the Odyssey-specific steps I did to customize the opening screen on the genuine-Honda GPS navigation system. Note: As far as I know all files are case-sensitive. 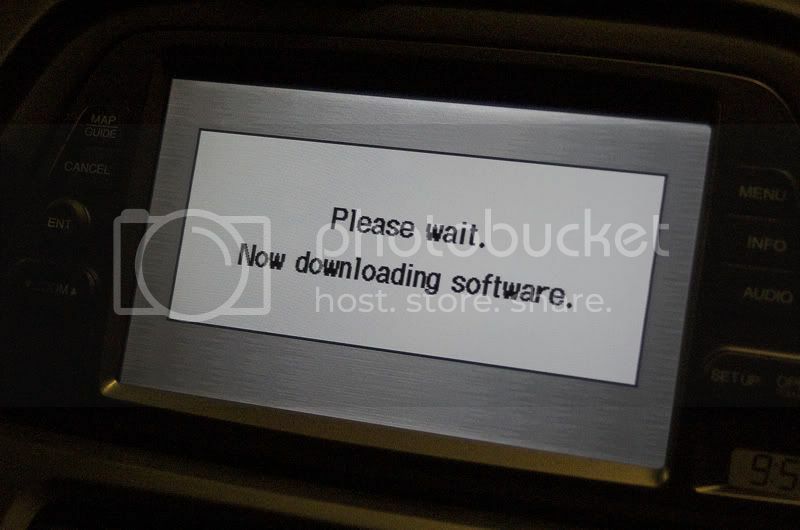 I copied the 9 bin files from the Honda Navigation DVD (v4.31C) to the hard drive on my computer. Only one actually needs to be modified, but I copied them all anyway. I used a CD burning program to copy the updated .bin file plus all the other .bin files as well as the other 4 files (in Step 2) onto a blank CD-R. I put the key in and started up the nav system. I didn't have the engine running because I was confident the battery would not die. I press the MAP/Guide + Cancel + Menu buttons again to go back to the Diagnosis screen. I pressed Version again. It took about a minute or two for the progress bar to finish. Once that's done, the system reset and I saw my custom splash screen. After a little while, I got the same error message I got before about the door being open. So I took out the burned CD and put back the original Nav disc. Any luck getting around the OK screen? 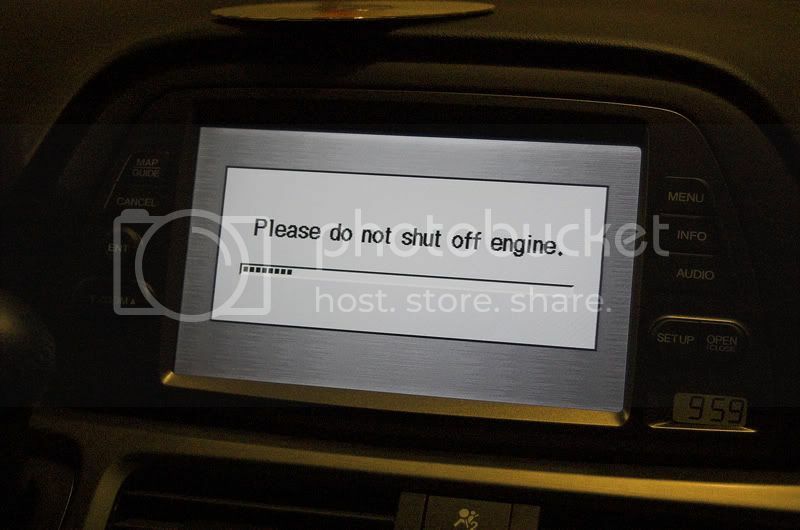 The last that I read was that there was a hack available on the Acura system to bypass the "OK" button on the nag screen. There was some controversy because the hack includes embedded text that credits the hacker and cannot be removed. 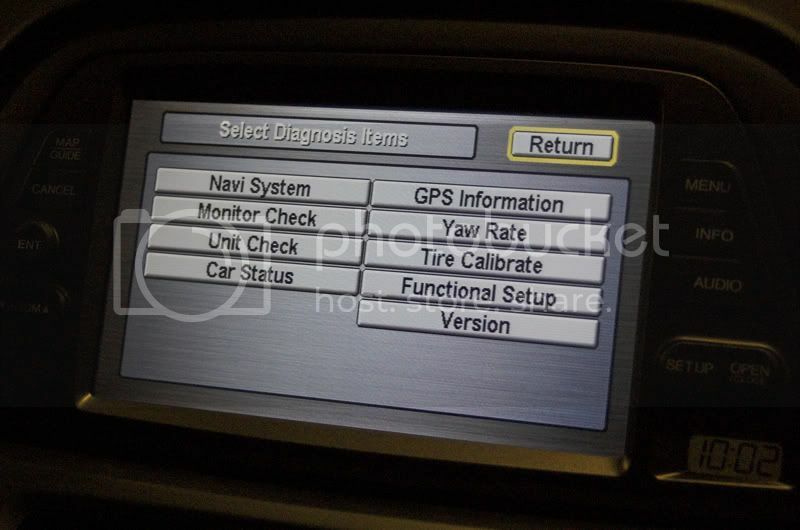 Unfortunately, the nav system on the Acura is an older version than the one that is used on the Honda Odyssey so it does not work--embedded text or not. I haven't kept up with the latest threads at Acurazine, so there may be something new, but I've not seen anything about it at OdyClub. I might have it saved on a disc somewhere. Are you on the forums at Odyclub.com? If so, send me a PM. 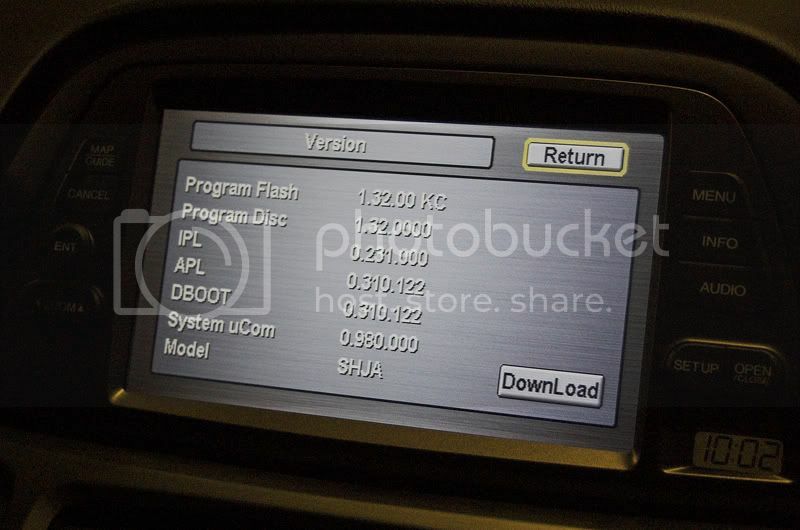 I was able to Hack my new '08 Odyssey Navi with help from your blog and other sources, I used the new DumpNavi "bysin.exe" http://guicide.com/cars/2006civic/nav/hacks/Bysin.zip . instead of CEbin, the 08 has a couple other bmp files you have to modify to match your picture. I had to modify move and match these four files Navi_Title.bmp, Honda_emblem.bmp, Opening1.bmp, & OpeningBase.bmp. Just thought I'd leave that bit of information for anyone else trying with an '08. Thanks for your help. I'm glad you were able to get it to work and thank you for the tips for the 2008 model year. I'll update the post to add your information. Could i get a copy of the original Honda splash image? 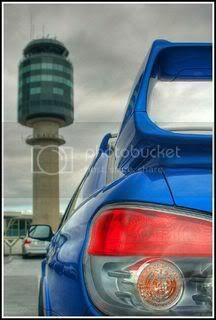 Unfortunately, I don't have the original Honda image. I didn't bother making a backup since it was on the NAV discs. Sorry. 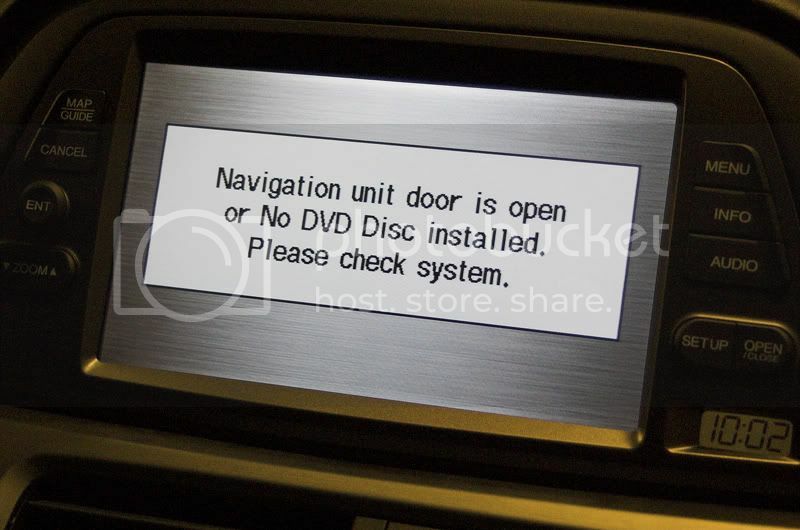 Anyone successful locating Navigation Drive location in 2008 Honda Odyssey DVD/RES. I would like to take a backup of my Navigation DVD, but I have hard time locating the same. As per the manual, it should be under driver seat. But I couldn't find any. Thanks for your help. I'm trying a 2007 Odessey and for some reason i'm unable to extract the .bin or list it. I have vista and i tried cebin and bysin and get errors like "unable to open BIN." Anybody can give me some help here? Thanks for the info, this will be fun. While I'm at it, any chance of running a Europe nav DVD in a US 2008 Odyssey Touring? Honda says "no way". I'm betting there's a way...I'm moving to Slovakia in the spring! I live in Japan and have a Stream and am trying to hack the DVD region settings so my kids can watch their favorite DVDs (not Japanese...) in the car. Has anyone been successful in doing this? I would really appreciate tips on how to go about doing this. emkay, that souds like a good idea, but do you not have a Flip down screen in the back? I still would pay for a hack disc if someone would make it for me. displaying the nav map on the back screen would be cool as well. 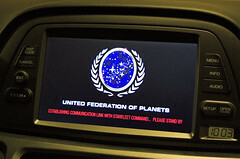 I would also like the DVD movie to play on the front screen too. Just purchased a 2010 Odyssey Touring with the GPS package. The good news - wife loves the GPS. The bad news - I'm a GPS fanatic (I beta test for several companies), and didn't even consider the possibility that the unit did NOT support Text-to-speech. I mean, c'mon, TTS is available even on $50 GPS units at Best Buy. Does anyone know of a workaround or has anybody installed other Navi software successfully?